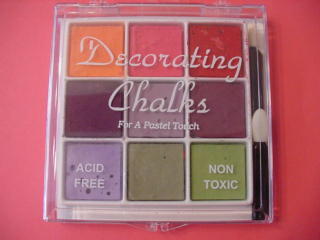 * Note: Chalks which are available individualy denoted by asterisk. 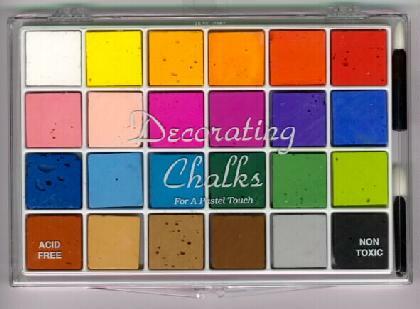 White* . . . . . . . . . . . . . . . . . . . . . . . . . . . . . . .Picture of chalks is approx. 75% actual size. New colors are: Burgundy, Cranberry, Coral, Eggplant, Lavender, Moss, Plum, Rose and Sage.